Today, Broderick’s is an award winning luxury coffee and refreshments company, with 4000 vending machines across the UK, boutique coffee bars and a 150 strong team. Counting household names such as Sky Broadcasting and Amazon amongst our impressive client base, exceeding group revenues of £15.000.000 the business has come a long way since it started life in John Broderick Senior’s garage, in 1969! 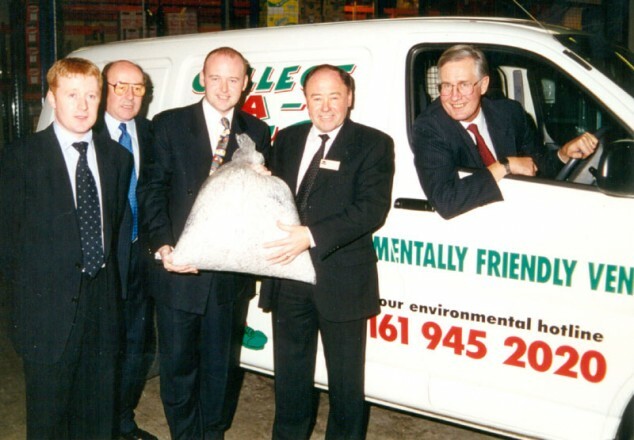 There have been some serious business firsts and milestones over the last 40+ years for our high growth vending business not least moving premises four times. Today, Broderick’s premises are state of the art, rather than garage! Achieving ISO 14001 environmental certification in 1998, Broderick’s was the very first worldwide vending operator to certify to this standard, thanks to a commitment to our Environment Management system. Striving, as always, to be the best we can be, the business is governed to Lloyds’ Register Quality Assurance (LRQA) standard: the premier environmental accreditation. Breaking boundaries is something of a habit at Broderick’s. Fairtrade pioneers, in 1998 we partnered with New Labour as the vanguard of Fairtrade coffee – a first in vending. Nearly two decades later, Broderick’s is still a firm supporter of looking after our growers, extending our Fairtrade range to Hot Chocolate and Leaf Tea. We’re equally committed to caring for our own suppliers and team closer to home. At the leading edge of vending machine technology, Broderick’s was instrumental in the development of the first mainstream touchscreen machine: the SIGMA TOUCH from Westomatic. Our first installation in Manchester Airport heralded the digital age of vcommerce, making a futuristic concept a reality and influencing a generation of vending. Cementing our reputation as early adopters, we’ve made the consumer experience easier and more interactive than ever with innovative payment systems including Tap and Go, Apple Pay, credit card and mobile payment via NFC. Notes, dollars and Euros are all still accepted too, of course! Beverage quality is determined not only by ingredient but by the equipment. At Broderick’s we’ve always invested into the very latest equipment, like our high speed whipper chambers for frothing drinks. Thanks to continual beverage development, we’re now bringing coffee shop style beverages to the work place: from skinny lattes and cappuccinos, to leaf tea – all with real milk. Taste and product quality are cornerstones of Broderick’s development: now, at the touch of a screen, customers can enjoy bean to cup coffee.